If you are able to communicate the details of a concert, research or an event concerning Ivan Wyschnegradsky, we would be grateful for your informing us. 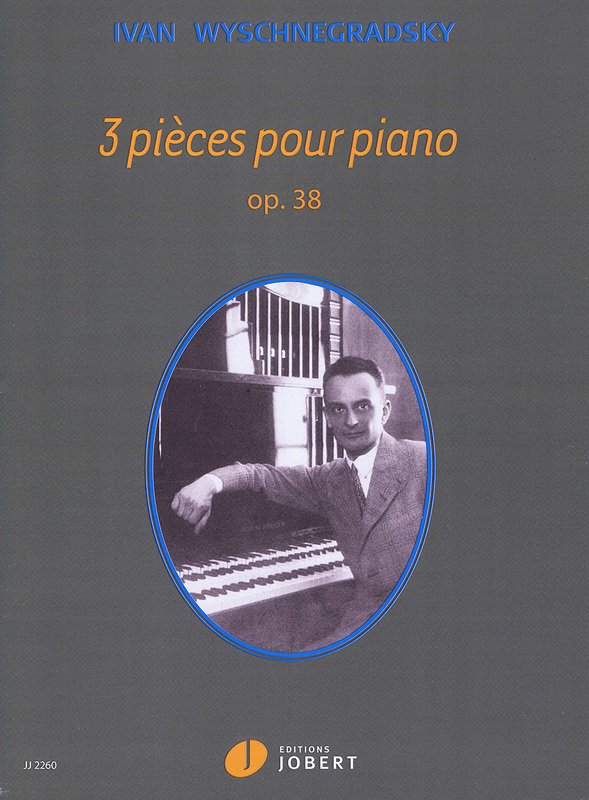 ◊ April 2019: Publication by Editions JOBERT (www.jobert.fr) of the score of 3 pièces op.38 for piano solo in 1/2 ton: Prélude – Elévation – Solitude. Revision by Martine Joste and Bruce Mather. Presentation by Martine Joste. 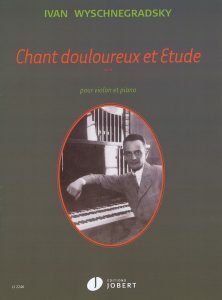 ◊ September 2018: Publication by Editions JOBERT (www.jobert.fr) of the score of Chant douloureux et Etude op. 6 for violin and piano. Revision by Solange Ancona and Martine Joste. Fingerings for violin and bowing by Léo Marillier. Presentation by Pascale Criton. 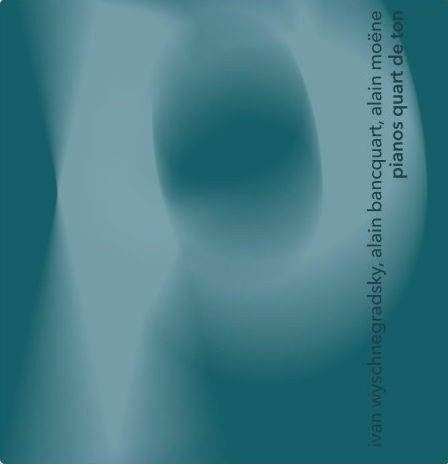 ◊ December 2017: Publication of the CD Ivan WYSCHNEGRADSKY, Alain BANCQUART, Alain MOËNE – Pianos en quart de ton by label Shiiin and with the support of the Francis and Mica Salabert Foundation – Works for 2 and 4 pianos tuned a 1/4 tone apart, ondes Martenot and cello. With Matthieu Acar, Hiroko Arimoto, Jean-François Ballèvre, Dominique Ciot, Cyrille Guion, Martine Joste, Manon Lonchamp, Emiri Wada, Guanlan Xu, Li Xie, Yoko Yamada, pianos, Cécile Lartigau, ondes Martenot, Noé Natorp, cello. Conductor: Léo Margue. To buy the CD, refer to www.shiiin.com or contact us. 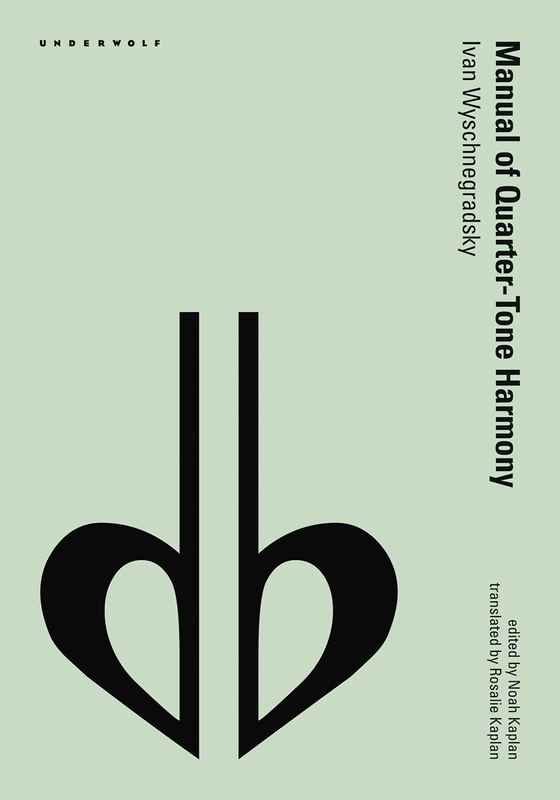 ◊ September 2017: Publication by Editions Underwolf/Princeton/USA of the Manuel d’Harmonie en 1/4 de ton translated in english and released by Noah et Rosalie Kaplan (click here – https://underwolf.com/wyschnegradsky to order). 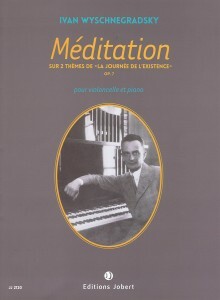 ◊ September 2013: Publication of the score of Méditation sur deux thèmes de La Journée de l’Existence, Op. 7 for cello and piano by Editions JOBERT. Revision by Association Ivan Wyschnegradsky. Fingerings and bowing by Christophe Roy. See www.jobert.fr or contact us. 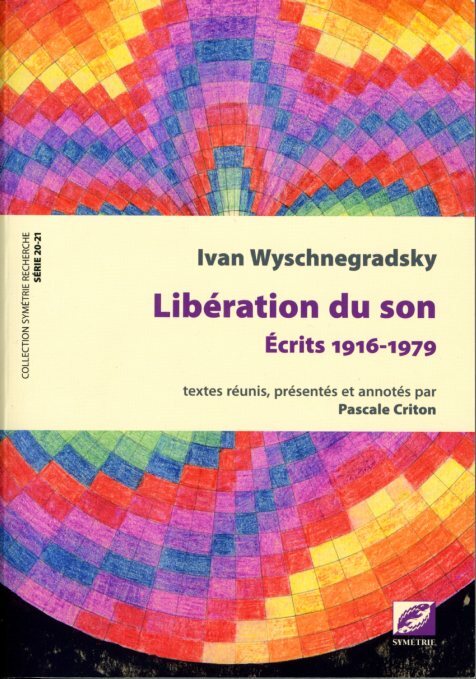 ◊ December 2013: Publication by Editions SYMETRIE of the book Ivan Wyschnegradsky – Libération du son – Ecrits 1916-1979, texts gathered, presented and annotated by Pascale Criton. The book has received in april 2014 the Prix des Muses, in category Prix du Document. 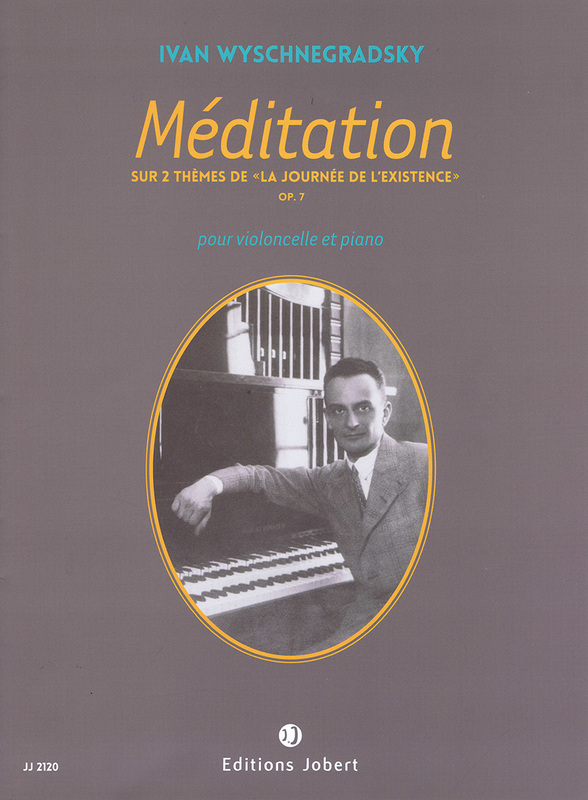 This 528 page book, released by Editions SYMETRIE in its Symétrie Recherche collection, series 20-21, was published with the assistance of Centre national du livre, of Fondation Francis et Mica Salabert, of Sacem and of the Ivan Wyschnegradsky Association. 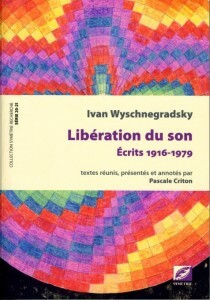 It offers a collection of unpublished texts and of reissued articles by Ivan Wyschnegradsky, brought together, presented and annotated by Pascale Criton: unpublished writings from the composer’s youth (1916-1920); articles unpublished in French (1922-1926) the text of which was reconstituted in Russian by Elena Poldiaeva from the originals at Sacher Foundation; Michèle Kahn ensured the translation into French. It also includes articles that appeared in various French magazines (1924-1971) such as La Revue Musicale, Polyphonie, Le Ménestrel, La Revue d’Esthétique, essentially accessible in libraries. The book includes many illustrations, diagrams, musical examples, drawings and photographs of Ivan Wyschnegradsky, a 14 page notebook of colour illustrations and, as annexes, a catalogue of works, a bibliography, a discography, and an index of works and persons. See www.symetrie.com or contact us. From 29 april to 17 september 2017 : in LAAC (Lieu d’Art et Action contemporaine) at Dunkerque, during the exhibition Musiques à voir (musique/arts plastiques : interactions), exhibition of 4 chromatic drawings by Wyschnegradsky. Art curator: Jean-Yves Bosseur. From 10 june to 17 september 2017 : in the context of Documentra in Kassel (Germany), exhibition of 6 chromatic drawings by Wyschnegradsky from Fondation Paul-Sacher (Basel).